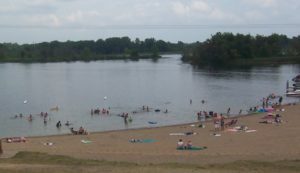 The best beach in Coldwater Country would be a Memorial Park, just west of Coldwater. There is also a beach in the Quincy Park on First Lake. The new Aquatic Center is now open to the public with an Olympic sized swimming pool, a therapy pool and classes that are offered year-round.